A judge asked why he should not jail a man who was caught driving whilst disqualified. Deputy District Judge Peter Magill was speaking at Ballymena Magistrates Court on Thursday regarding Richard Swann (26), a production operative, of Wilmuir Crescent in Larne. 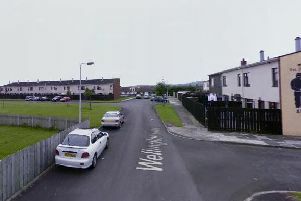 The defendant was caught at Greenland Road, Larne, in November last year and was also uninsured. Defence barrister Ben Thompson said the original ban came from a “toting up” of penalty points but when caught driving whilst disqualified the defendant was candid to police. Judge Magill said the defendant had “flouted” a court order but although Swann was in danger of “going directly in to prison” the judge said the guilty plea made the difference. He imposed a prison term of two months but suspended it for two years; handed out eight penalty points and fined the defendant £250.